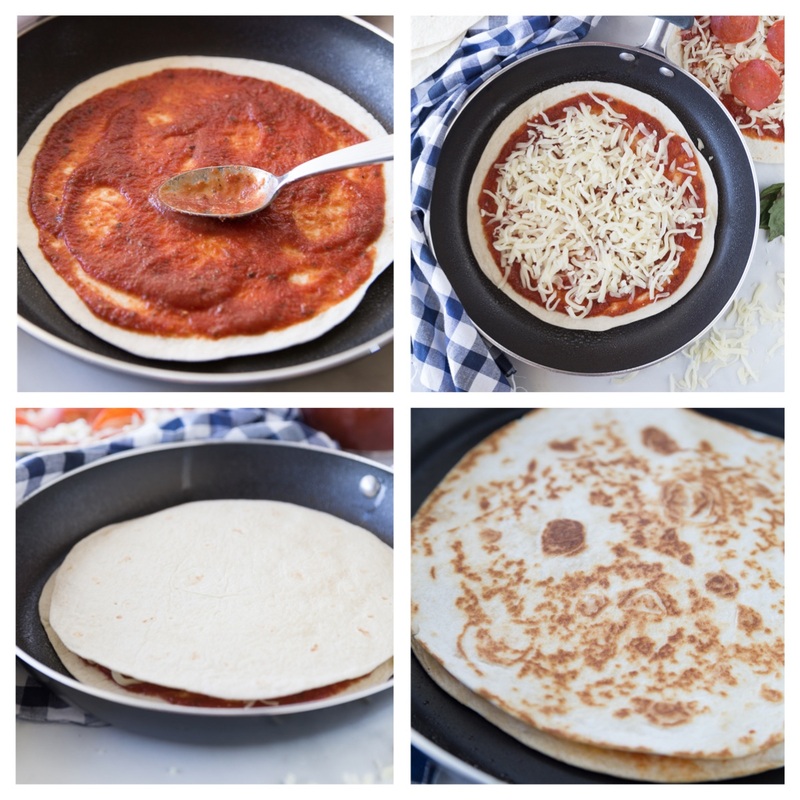 Flour tortillas topped with mozzarella cheese, homemade pizza sauce and your favorite pizza toppings makes for a delicious lunch! Pack in a lunchbox for work, school, picnics, hikes, or just a yummy on-the-go lunch idea. This post is brought to you by Farberware Cookware. All opinions are mine. I feel like I say it every summer, but yet each year I feel like our summers together go faster and faster. It’s almost the middle of July and back to school flyers and supplies are starting to pop up. We as a family don’t spend all summer vacationing but we do try to do some fun things during the summer that we normally wouldn’t do during the school year or have time to do. This past weekend we partnered with Farberware and their partnership with The National Parks Foundation, where they are donating $100,000 annually to help preserve and protect National Parks. 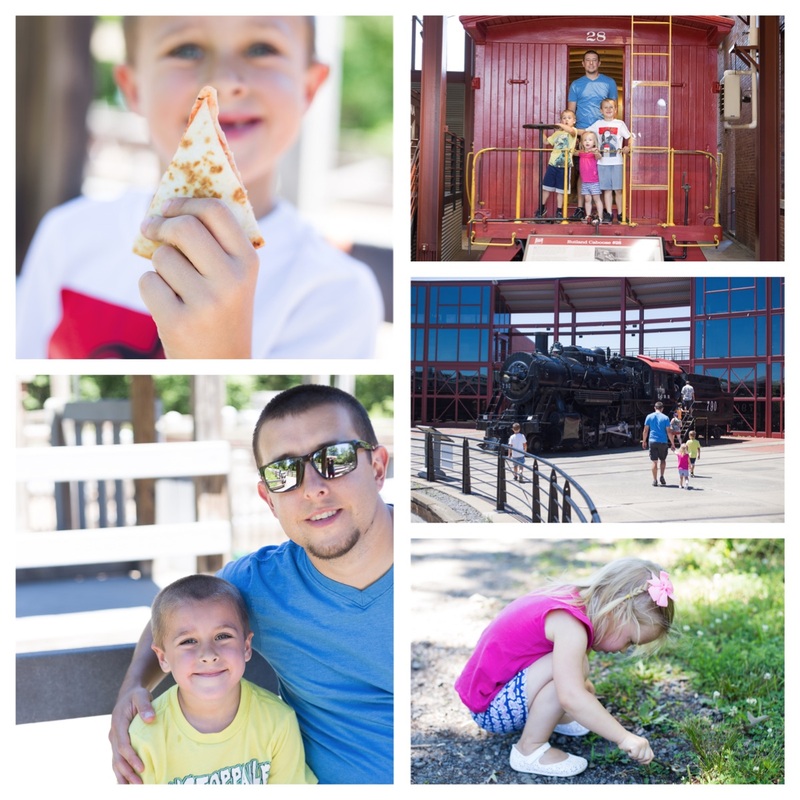 We headed to a local National Park, The Steamtown National Historic Site, where we took a train ride and visited the museum to learn about the steam railroad system. We also stopped at a local park to enjoy a small hike and a picnic with our delicious pizza quesadilla recipe. Wondering what National Park is closest to you? Check out this Find your Park website. 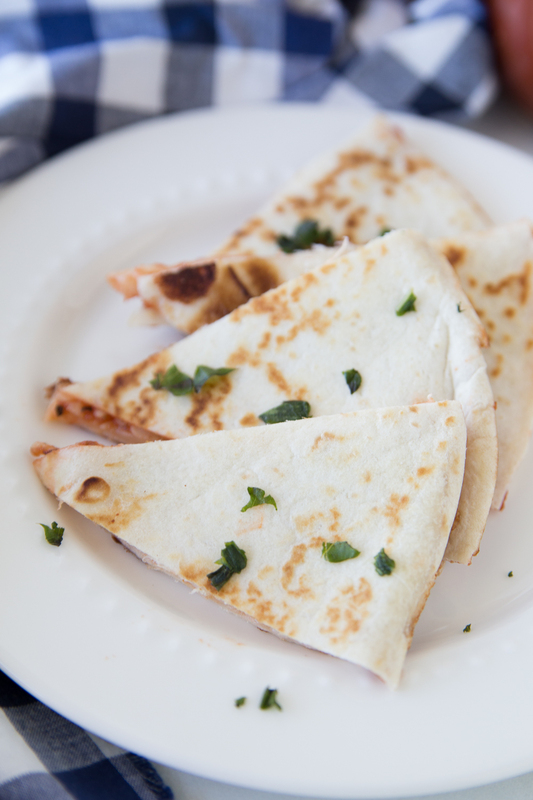 To prepare for our fun family day, we decided to try out a pizza quesadilla recipe and they did not disappoint. Everyone loved them and they were a fun twist from a classic sandwich. The base started with a simple and yummy homemade pizza sauce. 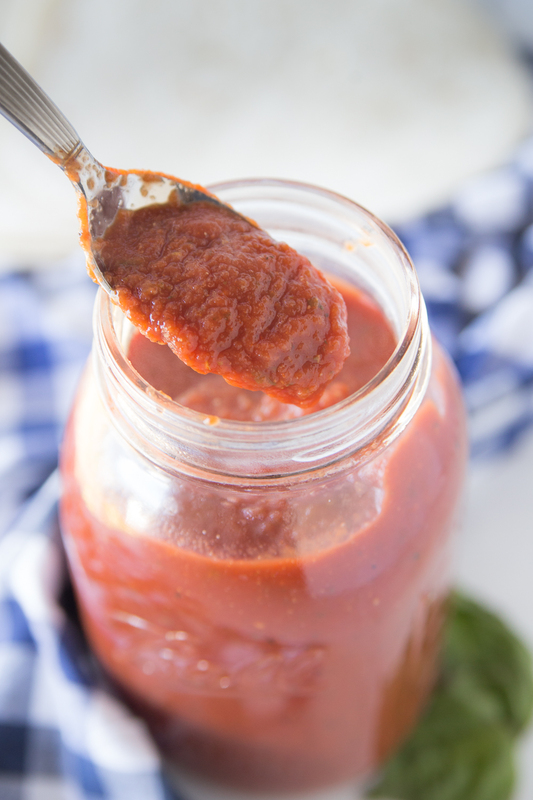 You can certainly use your favorite store bought pizza sauce but I recommend giving this a try! I found making these in an assembly line order went much faster than doing preparing one, cooking it and then preparing another. I started off with 6 of my 12 tortillas and topped them with pizza sauce, mozzarella cheese and then our favorite pizza toppings. I carefully placed the already made pizza end on a skillet that was lightly coated with baking spray. This will help give the tortilla a golden brown crust. Place a second tortilla on top and light spray with cooking spray. Using a spatula and your hand to help guide, flip your tortilla and cook on remaining side for 1 minute or until golden brown. If you are not eating right away and taking them on a picnic let them cool completely before packaging. Cut them into wedges and store either in a ziploc bag or wrap in cling wrap. 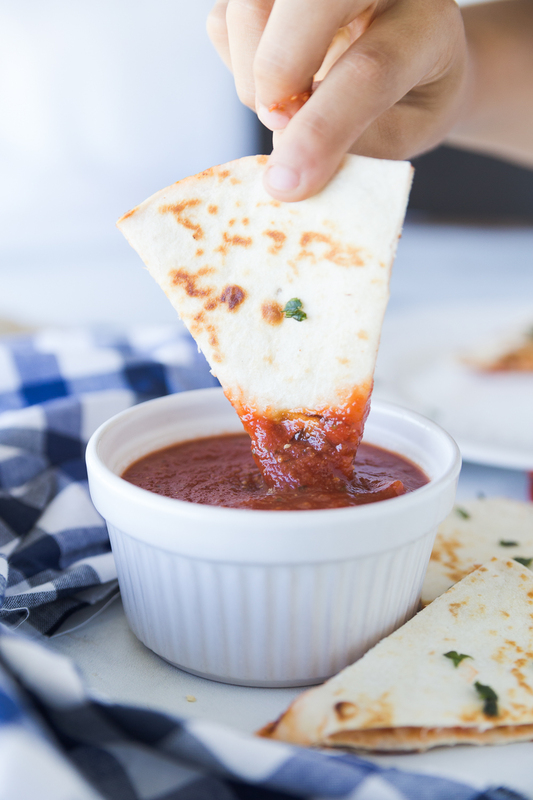 You can serve pizza quesadillas with additional pizza dipping sauce but we didn’t think it was necessary to take it “on the road” with us. It’s similar to eating cold pizza…which my kids love! We paired it with some fresh cut watermelon, rice krispies treats and beverages. for a lunch anyone will love! Great for picnics, hikes and lunch on the go! 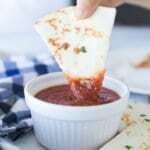 In a medium size saucepan, combine tomato sauce and paste on medium heat.Add remaining sauce ingredients and mix well. Bring to a slow slimmer, stirring frequently. Reduce heat; cover and allow to simmer for 20 minutes, stirring occasionally. Cool slightly. Gather your flour tortillas. You will need two tortillas for each “quesadilla”.Spoon a desired amount of sauce on top of 6 of the flour tortillas. Top with mozzarella cheese and favorite pizza toppings. Spray a small amount of baking spray on your skillet. Place your already pizza made tortilla on the skillet. Top with second flour tortilla and spray a light coat of baking spray on top. Cook at medium heat until bottom tortilla is golden brown and the cheese begins to melt. 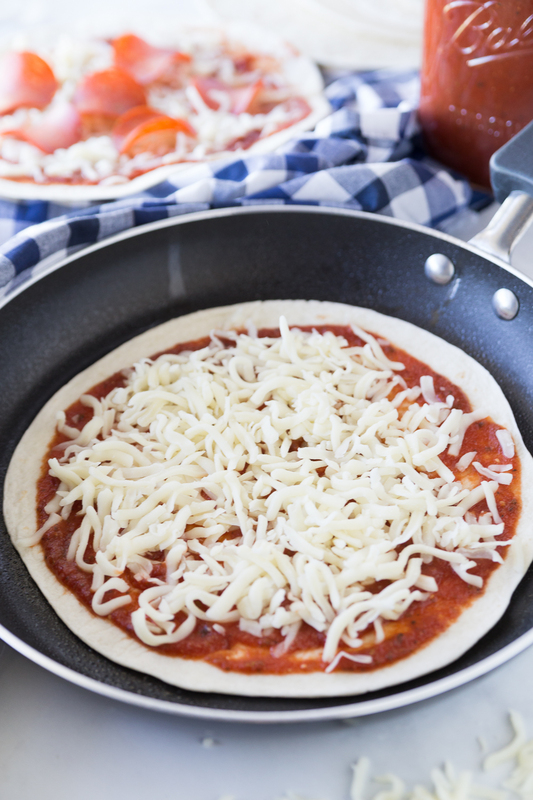 Carefully flip your tortilla pizza and continue to cook for 1 minute or until golden brown on remaining side. Remove from skillet. Allow to cool and slice. For this recipe I used Farberwares New Neat Nest Collection. Neat nest is a space saving solution to storing pots and pans that won’t scratch the surface or create dents. The handles lock into each other allowing the pots to hover above one another when storing. 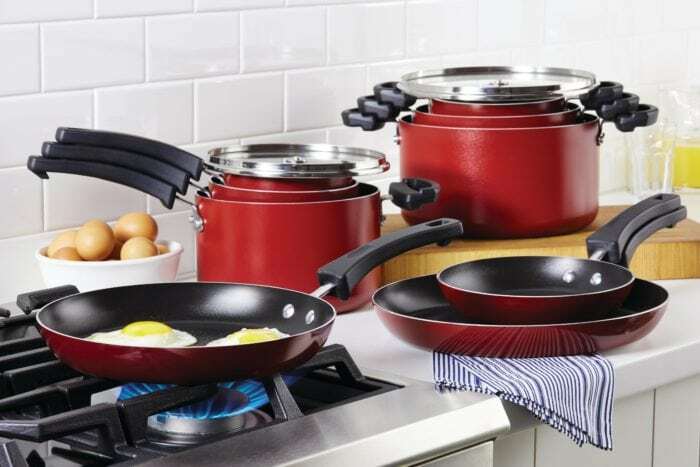 Grab your sauce pot set or skillet set today!